Bromley Metro gloss flat white tile is a white gloss flat edge 200 x 50mm metro tile. 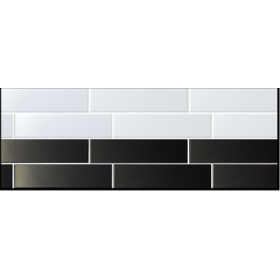 The Bromley range is a new modern twist on the classic metro subway tile. 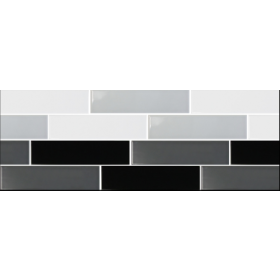 The clean lines and ease of the metro tile is what makes them popular in traditional décor and modern décor. There are many varieties available and we stock various sizes and colours and this guarantees that we can find the right metro tile for you. Based on the style used in numerous underground train stations in the past. The name given to metro tiles is taken from the New York Metro line. Brick tiles were used extensively from the 1930s and are now very popular, giving a fashionable retro style. Bromley Metro is also available in Black.